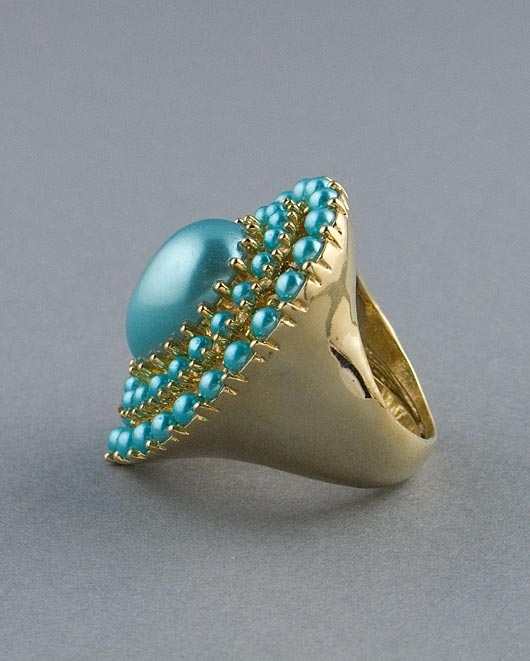 Blue statement ring by Kenneth Jay Lane. 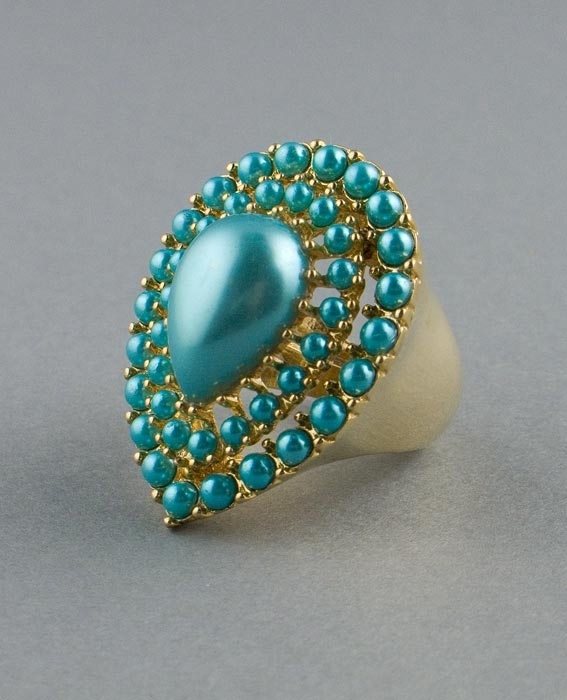 This striking designer ring features a 19mm tear drop blue pearl bead in the center surrounded by small blue pearl beads. Ring comes in one size with adjustable springs to customize size and is 40mm in total length and 30mm in width (approximately).